Tower-cos and operators have invested a lot in hardware and remote monitoring solutions (RMS) which provide data from their cell sites – IOT Sensors or RMS – when they receive data it’s not complete, so it’s tough to take forward and analyze to predict and minimize breakages and outages. An IOT based RMS system which costs $2K per unit for 2500 sites leads to $5 million investment. It is very important to understand data coming from different RMS systems in order to achieve operational excellence and accurate billing. Tower-cos believes that once they have the necessary RMS deployed, they will get authentic information and achieve single source of truth. However, on the ground the situation is very different. There are multiple systems – some standalone and some built-in which needs to be integrated to present single view of data. RMS installed on site does not work efficiently most of the time. Based on our experience less than 5% of RMS (Remote Monitoring Solutions) deliver expected results. Analytics based approach is a must to overcome data related challenges which reduces the failure rate of RMS. Why RMS Initiatives are not successful? Data collection from various tower sites in remote places as well as its real-time aggregation and analysis involves a complex process of adapting to site-specific solutions. Decision makers are often overwhelmed with the huge amount of data to monitor. It’s easy enough to get distracted when you’re working with too much data. RMS data collected from site contains noise. In order to efficiently utilize this data, it becomes vital to filter out the noise. In the event that any of the above steps fail to work, or do not work in tandem, the desired outcome of receiving accurate data on server is not achieved. 2. Data Packet Loss: The data packet compliance (i.e. actual vs. expected number of packets received at the server). It becomes difficult to recover / re-communicate the lost data packet. 3. Missing Values: There are sites where the data is not available for the complete month, for instance, energy billing cannot be done for site where data is only available for 25 days. B. Data Calibration: Calibration is a device specific however desired outcome for same parameter is based on quality of equipment deployed. Calibration issues lead to inaccurate and fluctuating reading of parameters. Data Completeness means data packets are received at desired frequency and other information received in data packets is complete. The timely availability of data is necessary for ensuring accurate analysis. Data collected from multiple sources take long time to reach the desired destination, making it difficult for towercos and operators to address issues related to energy efficiency on a real-time basis. Data related to energy consumption is recorded in multiple ways including traditional log books and tabulated in Excel spreadsheets. In places where RMS is not deployed or mobile applications are not reliable these records would then be transferred to cluster or circle offices every month and reach the final destination after several stopovers. At each halt, there would be a possibility of delay and information loss or change, leading to inaccurate analysis of the data. 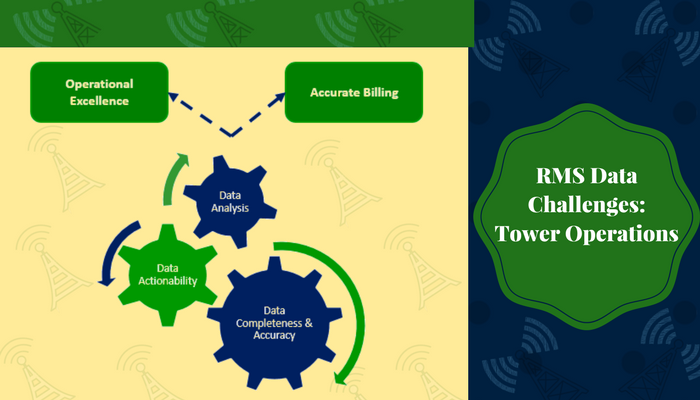 The tower-cos and operators face huge challenges such as inefficient tracking of assets and resources, unavailability of relevant and integrated data, accuracy of the bills generated and the lag time between getting the billing data and generating the final bill. 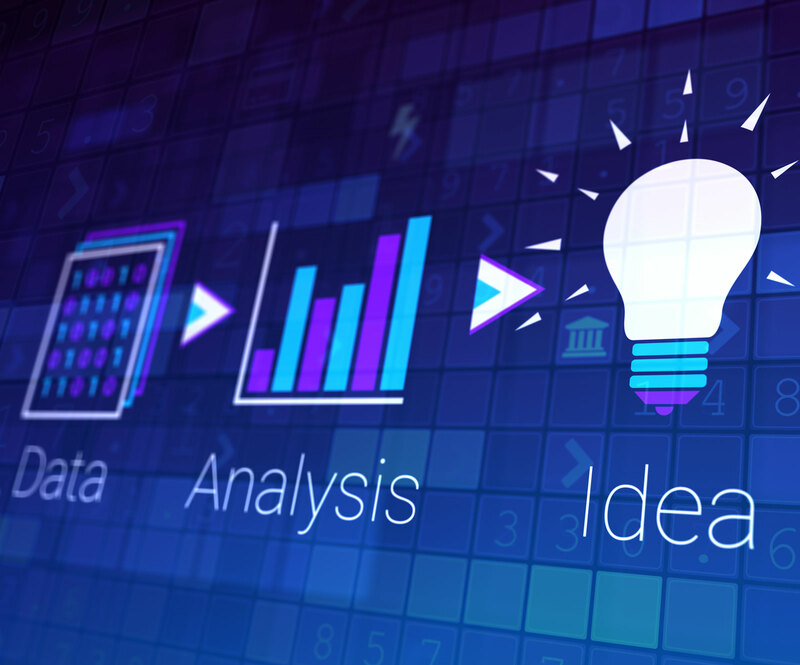 Moreover inability to make sense of collected data to take the right business decisions. Once we start getting data packets, it must be ensured that the data which is sent from RMS contains accurate data (aligned with operator KPIs and SLA). As per our experience and observations, Tower-cos and operators spend lot of resources on reconciliation; Most of the time, their analysts spend up-to 20 days every month consolidating data, and 10 days are left for taking corrective actions! Data analysis requires deep domain knowledge to generate meaningful and actionable insights out of data – these insights can be further used for effective decision making. Absence of effective data consolidation and reporting mechanism results in delay in taking actions on critical events. To measure, monitor, and manage the overall performance of the sites – Data Analysis with domain expertise is a must. Real-time data analysis results in higher mean time between failures, ensuring greater reliability, time savings due to a reduction in site visits and improvements in energy efficiency at the tower sites. We have helped companies deploy best practices to maximize outcomes from RMS deployments. Your observation of only 5% of RMS installed sites deliver the expected results is hard to accept. It may infer that investment in RMS is a complete waste of money. Without RMS we don’t have any visibility especially on power systems and energy consumption. The actions then should be focused on fixing any shortcomings in RMS equipment. Mobile network operators have added advantage in using their own IP based communications channel in their transmission network, eliminating the issues you raised regarding GPRS based communications. In addition, they also have embedded RMS with power system supplied by network suppliers like Huawei and ZTE. Operators have opportunity to create complete visibility of their BTS sites on energy and power system ( in addition to their active equipment). Thanks for your valuable response on our article. Inputs from industry leader like you are always welcome. As per our observation “5% of RMS installed sites deliver the expected results”. After analysing 500,000 sites in India, we found out that less than 25000 sites are functioning properly and delivering the expected value to the organization. Data Quality, consistency of data and sustenance of same is a big issue faced by Tower Cos. The next big question is that “Are you able to consume it efficiently?” Factors like site uptime, fuel management should also be considered (besides visibility) while evaluating RMS installed on site. Investment in RMS is valuable if you are using a integrated software system which provides you a single platform to manage site data and energy consumption data with 100% data accuracy. One of the big challenges with maintaining RMS is that It is a like managing an alternate network. To make RMS deployment effective, it needs to be planned, monitored and maintained for upkeep and reliability. Just like any other network, its elements need to be replaced and upgraded from time to time which has CAPEX and OPEX of its own. In fact, costs of managing an RMS is similar to that of managing a network – this is often ot factored in. The belief is that once installed it will work. In reality there is breakage, vandalism, cleaning, other kinds of support – which all adds to cost of keeping an RMS up and running. In case of some customers – they feel for certain sites, the cost of maintenance is much larger than expected savings – so they prefer to be selective in deploying RMS on certain sites only. Yes, you are right that actions should be focused on fixing the shortcomings of RMS equipment. This can be done by having a system which can play a role of “Checker” by validating the equipment performance.